The perfect kit for your next build – at a price that can’t be beat. 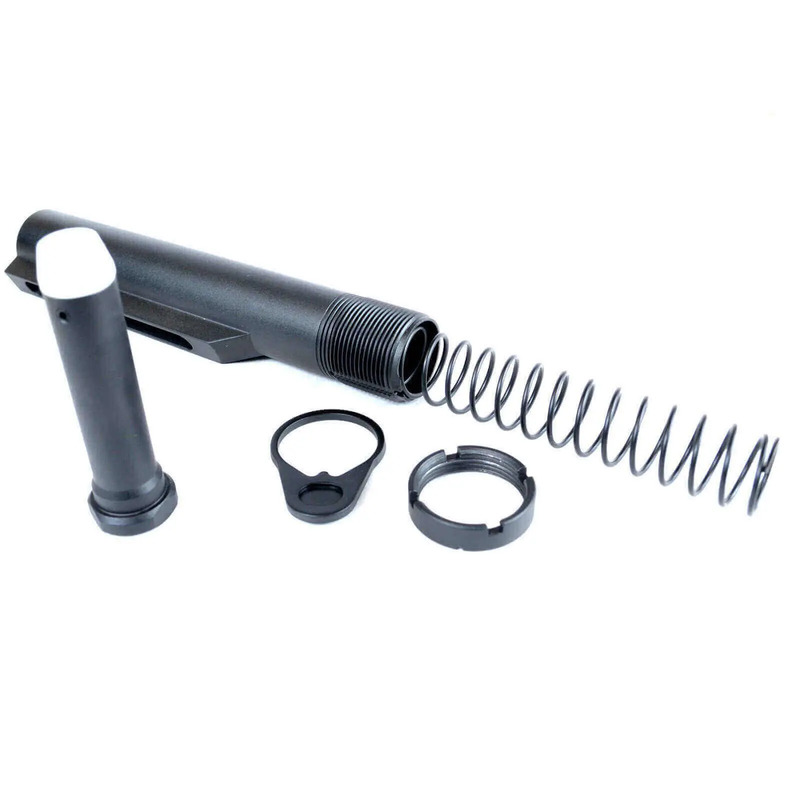 This Mil-Spec AR-15 Buffer Tube Kit includes the buffer tube, castle nut, lock plate, 3oz carbine recoil buffer and recoil spring. All parts are designed for easy assembly and compatibility with all your other AR-15 components. Backed by the AT3 Lifetime Warranty. These were very nice goodies. Fit and finish were fine, and I don't know where you could beat this kit at this price point. Thanks for sharing your experience, Chuck. We're glad you're satisfied with your purchase. Cheers! Great customer service and prices. Had a hit of a issue with the parts they had a replacement their the next day! I will be doing more business with them. Thanks for sharing your feedback, Ted. We're glad you're satisfied with your purchase. Cheers! Kit fits together great...no problems. Few scratches on surface and little bit of grit on the inside of tube, but doesn't effect shooting. Good buy for the money.